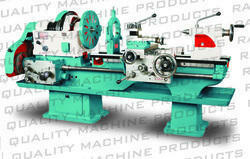 WE ARE GLAD TO INTRODUCTS OURSELF AS A LEADING MANUFACTURER OF LATHE MACHINES AND SPM SINCE LAST 50 YEARS. MORE THAN 3000 MACHINES ARE WORKING IN INDIA AS WELL AS ABROAD. EXTRA HEAVY DUTY LATHES UPTO 1500 MM HEIGHT OF CENTER. RUBBER ROLL GRINDING MACHINES UPTO 2000 MM DIA.